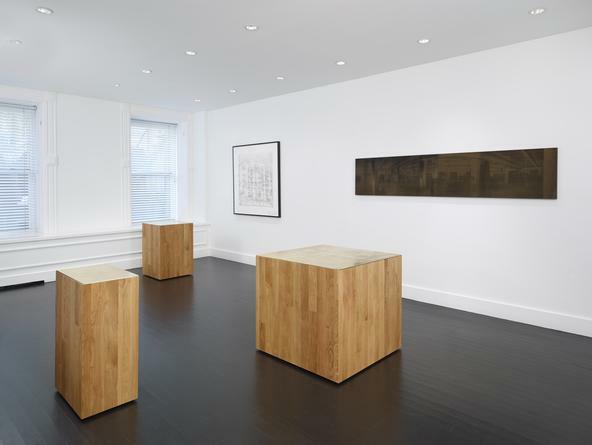 Installation view: Three new buildings, a fence and a factory. Three new buildings, a fence and a factory. 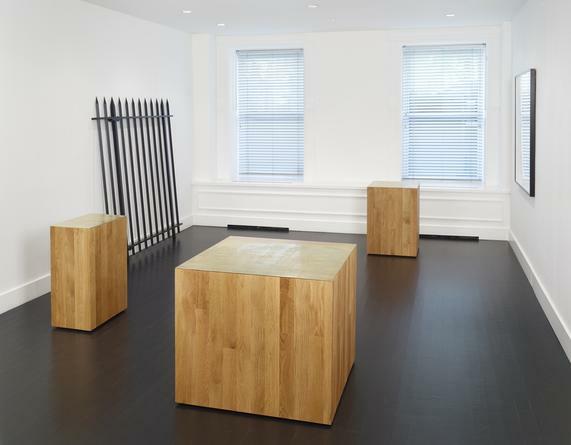 SANDRA GERING INC. is pleased to present Three new buildings, a fence and a factory, Marc Ganzglass’ first exhibition with the gallery. 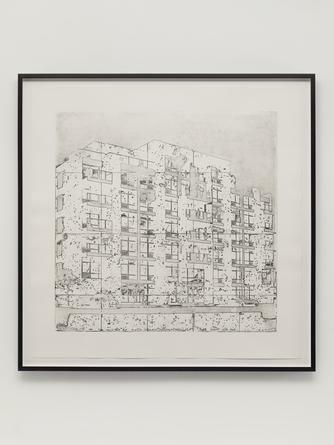 Through objects, etchings and prints Ganzglass focuses his attention on a series of allegorical works drawn from everyday life in the urban grid. Employing a high degree of craft to render the work Ganzglass enlists technical process to create a distance between viewer, subject and object, opening up readings from multiple vantage points. 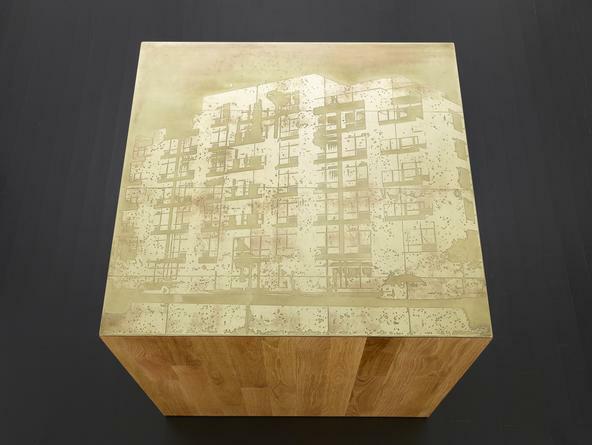 Buildings, rendered as photo-etchings on brass plates, are presented on oak plinths in the style of historical markers. 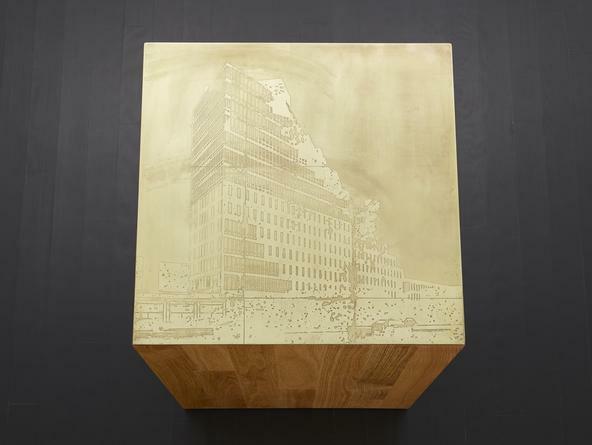 The brass plates serve a dual purpose: to commemorate new buildings and to generate ‘new’ images of the constructions that permeate the landscape. 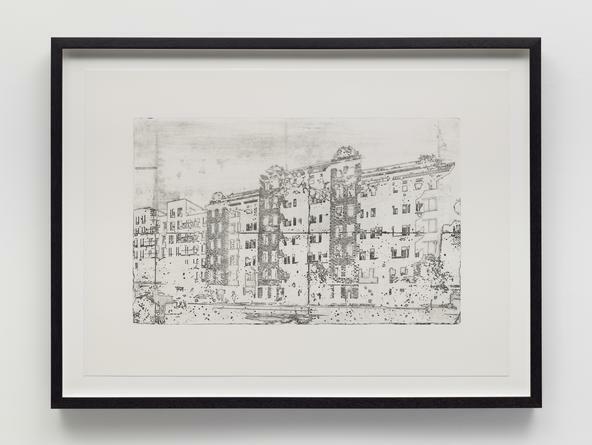 Using the etchings as printing plates, Ganzglass produced a series of large intaglio prints, which hang on the gallery walls near the plinths. While the centuries-old medium of choice seems old-fashioned, the work itself hinges on the process of appropriation, a relatively modern concept in art. 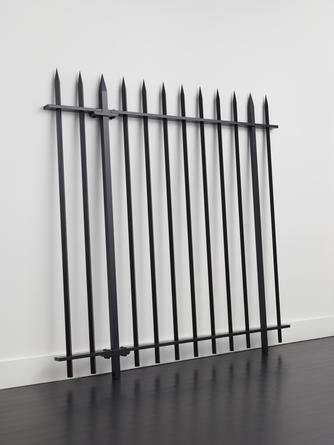 In Fence, using a radically different form of appropriation, Ganzglass recreated by hand an iron fence that currently surrounds a public park here in New York. A classic example of early 20th century civic ironwork, thousands of feet of this utilitarian fence border parks around the city. Here in the gallery it is only a fragment but seemingly continues to delineate inside and outside, inclusion and exclusion. 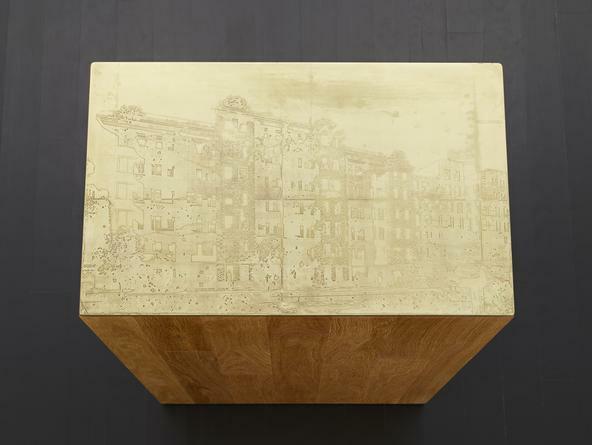 With Factory, an industrial laser is used to etch a photograph of a factory interior on a panel of synthetic stone. The image is a composite of multiple wide-angle shots, digitally composited to create a 180° panorama. 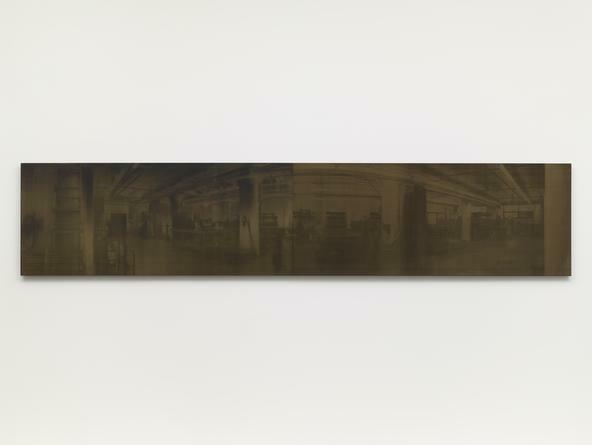 Here the laser serves as both the focal point for the factory portrait and the technical means through which the image is rendered. 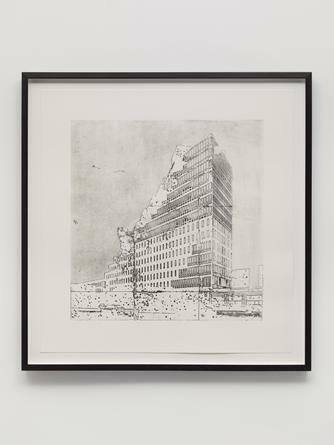 Shifting between photography and craft, printmaking and documentation, Ganzglass’ work begins with a desire to defamiliarize the objects and structures that populate our daily lives. 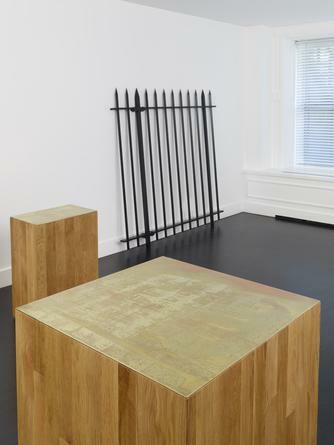 In this exhibition he uses technical processes to short circuit appropriated images and objects, creating new frames of reference. Ostensibly however, the real subject of the exhibition may be it’s layering, in which allegory, material and observation all contribute to the formulation of a holistic image. Marc Ganzglass has exhibited various projects internationally since 2005, including residencies and fellowships at the Chinati Foundation, Marfa, TX; CPH AIR, Fabrikken for Kunst og Design, Copenhagen, Denmark; the Lower Manhattan Cultural Council Residency, New York; the Kohler Arts and Industry Program, Kohler, WI, and Socrates Sculpture Park, Long Island City, NY. A multi-disciplined artist, Ganzglass works in all media, including film, performance, publishing and installation. Ganzglass lives and works in New York. Gallery hours are Tuesday through Friday, 10am to 6pm, Saturday 11am to 5pm. 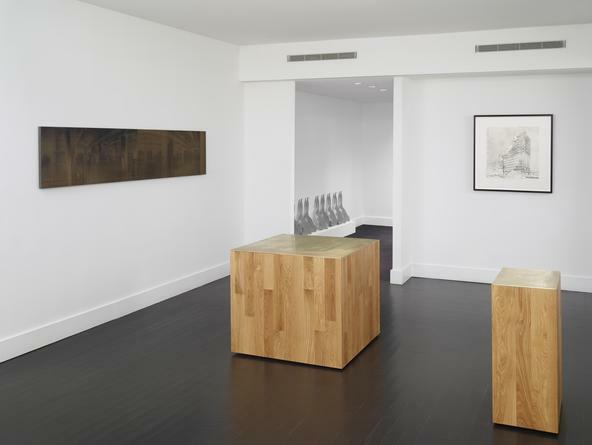 For further information please contact Laura Bloom at 646.336.7183 or laura@sandrageringinc.com.